I’m going to keep this short and very, very sweet. I’ve got just over 5 hours left of study time today, and while I shouldn’t be spending it baking (or blogging), I couldn’t resist. I decided to make cookies for a friend today and was lucky enough to find a recipe that used up some of those American goodies I’ve been hoarding away. It’s not even ironic that I stuff my suitcases full of bags of cinnamon and butterscotch chips and then never use them. It’s obvious. To be honest, I don’t really like the stuff. The first ingredient is probably plastic and they usually make things obnoxiously sweet. Plus, now that we’re moving in a month, to a kitchen much less generous with its storage space, I’ve got to get a serious about thinning my American baking goods stash. This pretty recipe managed to get rid of 3 things, which means I might just quit while I’m ahead. Having a few cans of pumpkin and some Heath bars aren’t hurting anyone, right? The recipe is easy, flexible and produces, as mentioned, a lot of sweet. I did cut down on the sugar and added oats (the 1/4 bag-full was also bothering me), so they’re sweet but tolerable, especially when you think of all the joy they spread. I’m planning to bring most of them to a friend in the hospital, and they’re keeping me energized while studying for midterms, which means that my stash is actually doing good. You see? The importance of stashing away bags of industrial sugar and hydrogenated oil cannot be underestimated. And neither can the simple joy of eating them. 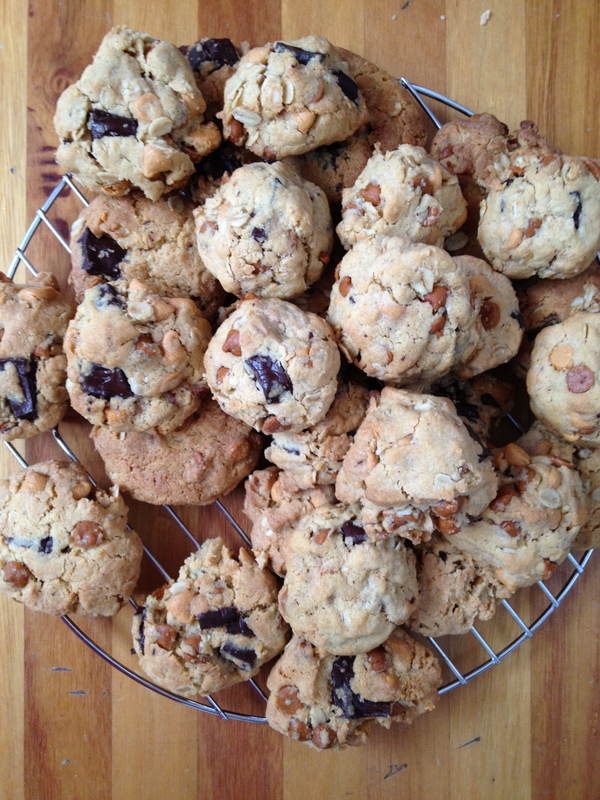 Recipe adapted – or maybe inspired – by fluffy puffy butterscotch cookies on one lovely life. 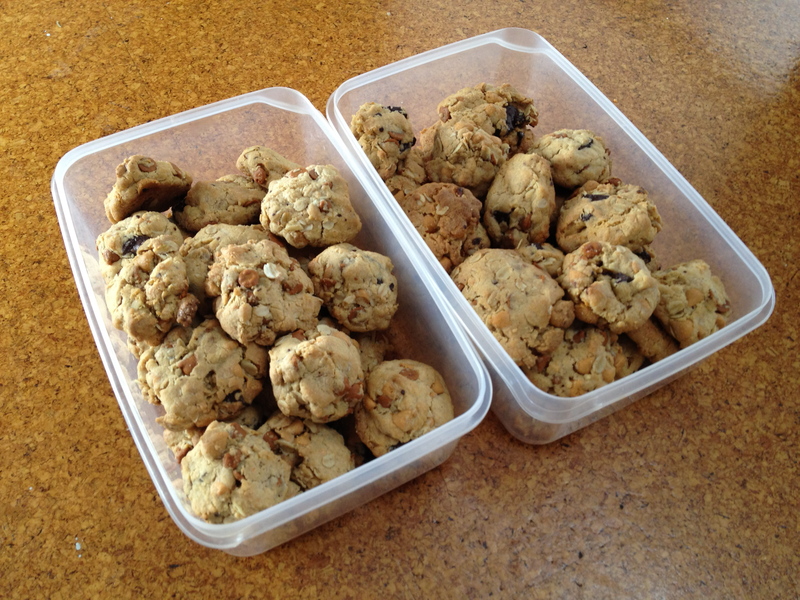 I made about 55 cookies. I think they’d be perrrrfect with cold milk. Preheat oven to 350F/180C. Cream the butter and sugar together with an electric mixer, then add the eggs, vanilla and butterscotch pudding powder. 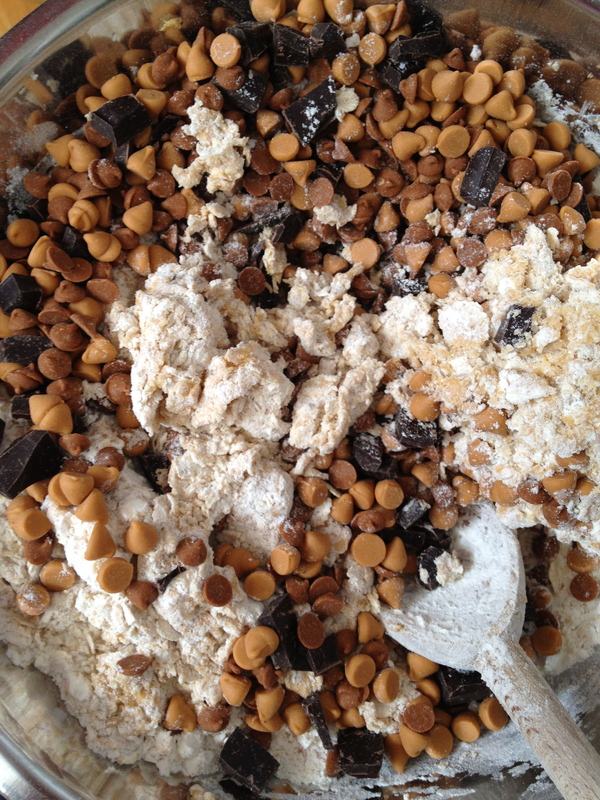 Stir in the butterscotch chips, chocolate and cinnamon chips (if using). Roll into little balls and bake on parchment lined baking trays for 5 – 10 minutes, until golden colored and slightly firm on the edges. Cool completely before storing in an air-tight container. Makes a lot (around 55). 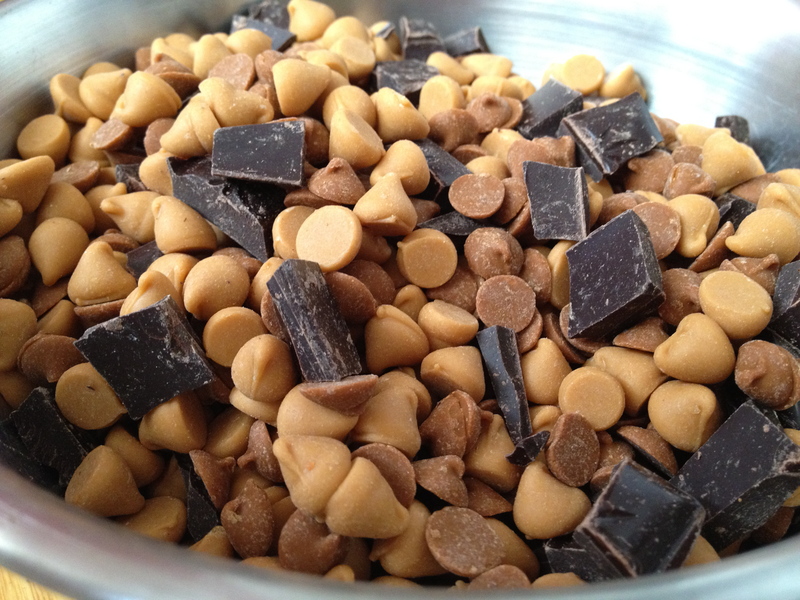 Sounds delicious with chocolate AND butterscotch! Look great too! Good luck with your move. Please send pics when you get to the new abode! Love you guys!